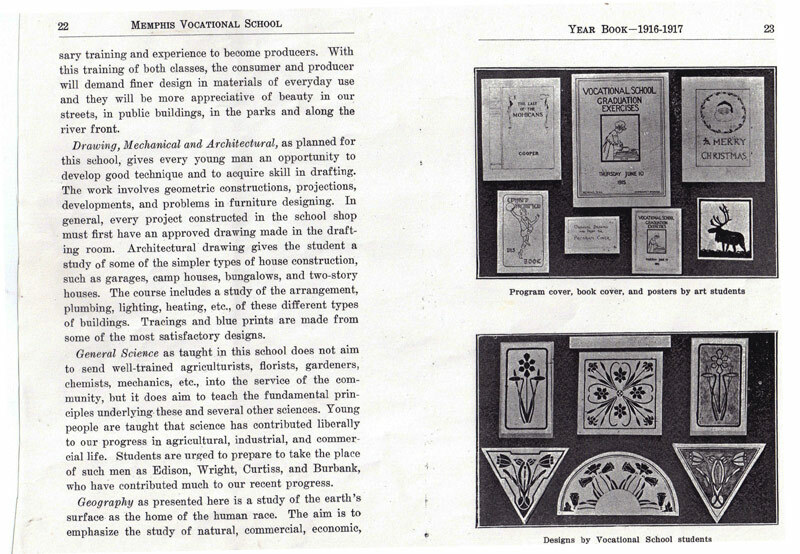 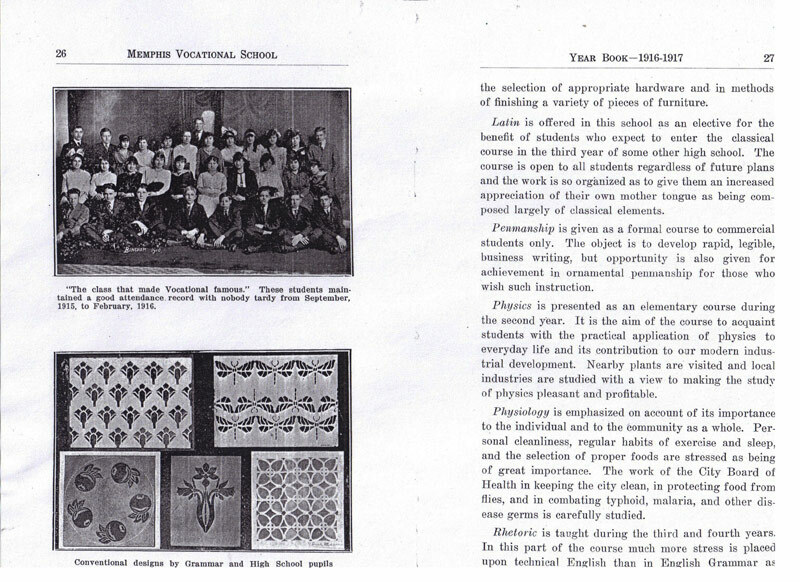 Below: Is this the first Tech Yearbook? 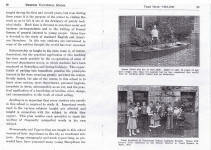 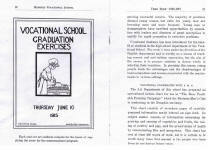 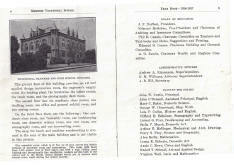 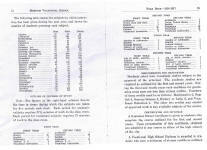 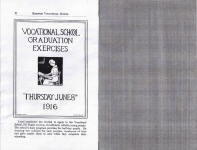 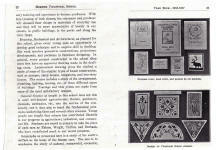 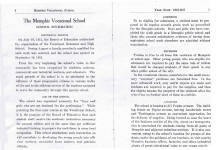 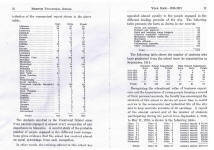 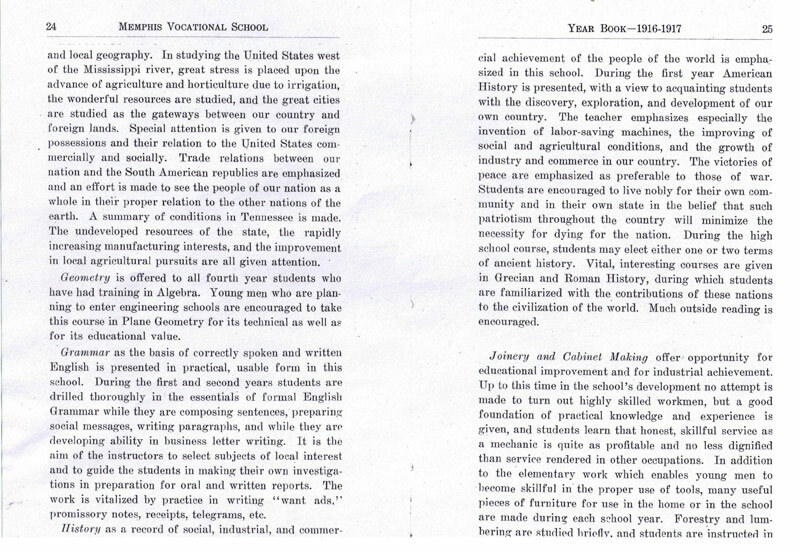 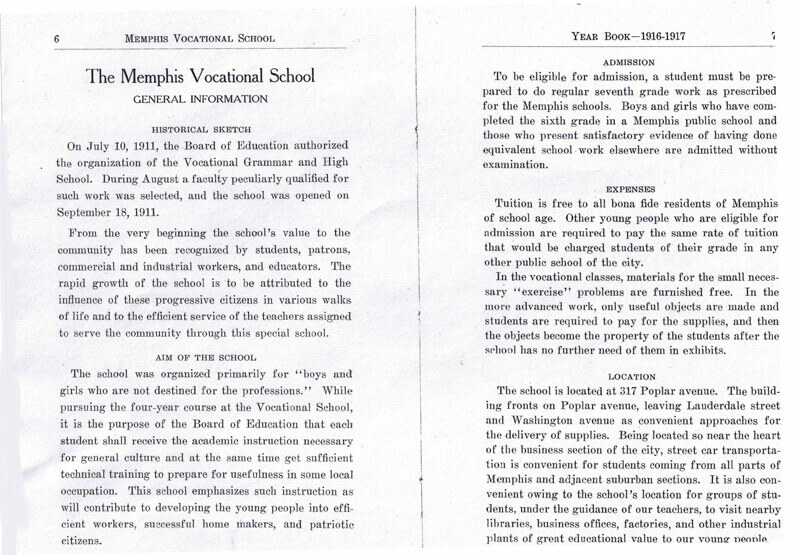 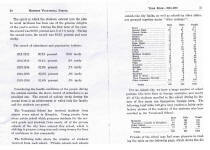 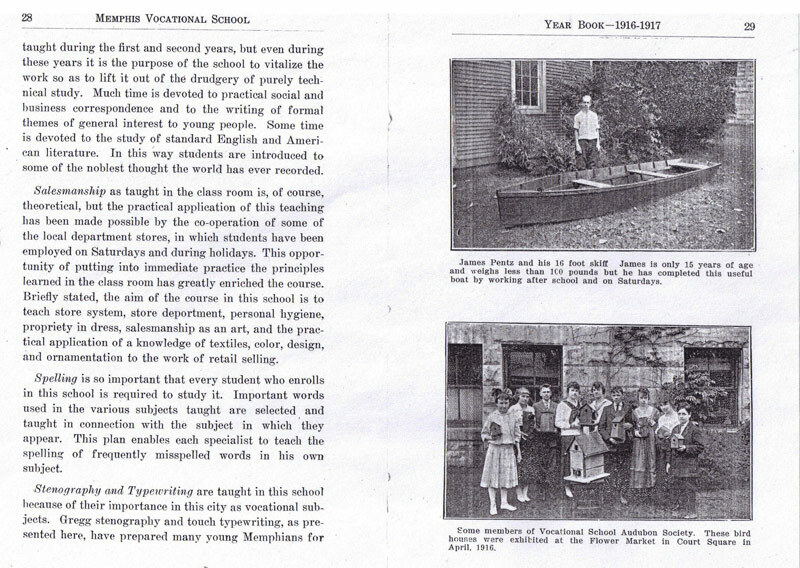 It was published by the school to cover the 1915-16 school years. 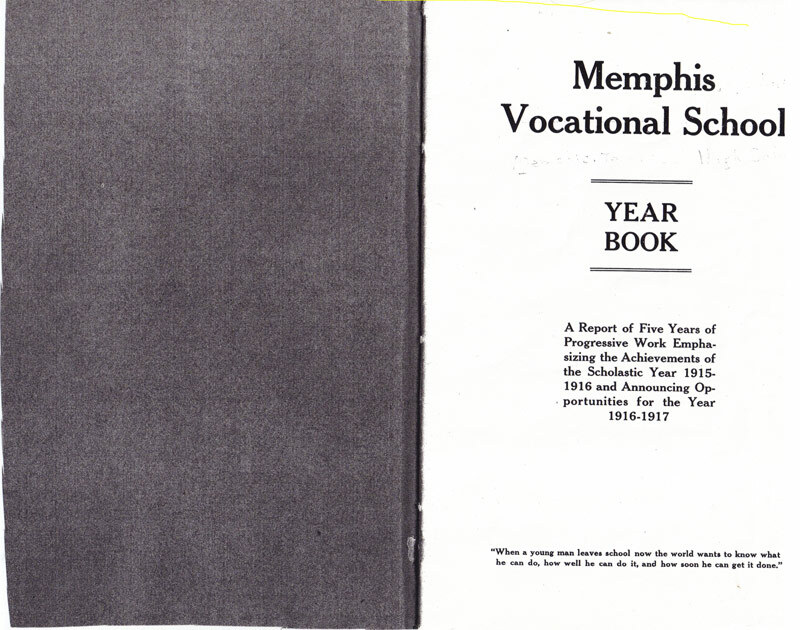 While it's not the traditional Yearbook which features the graduating seniors, the school refers to it on the inside cover as "Memphis Vocational School YEARBOOK". 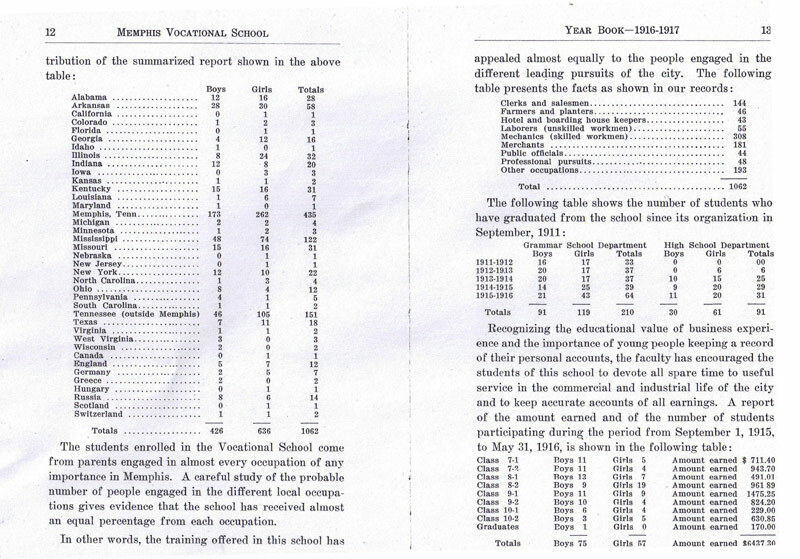 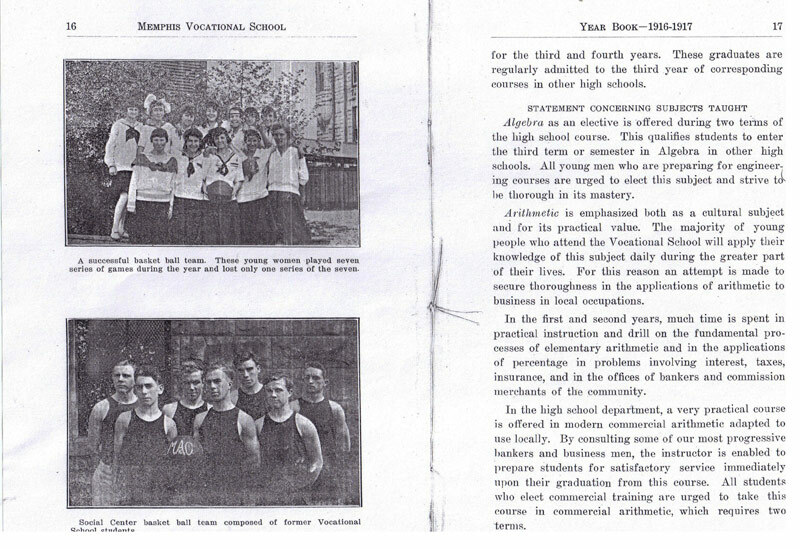 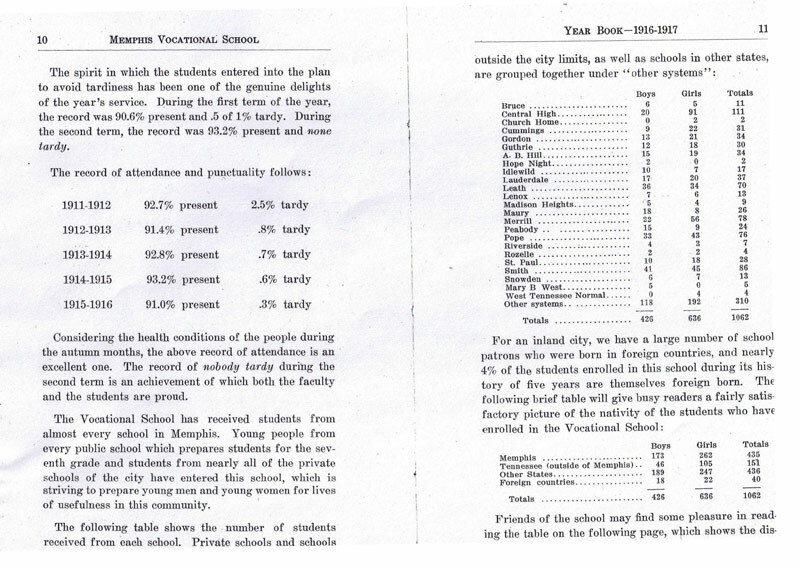 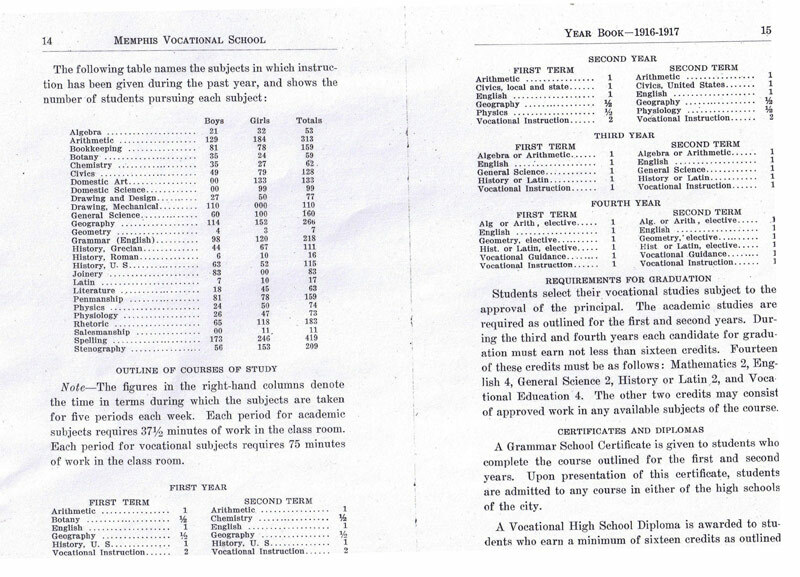 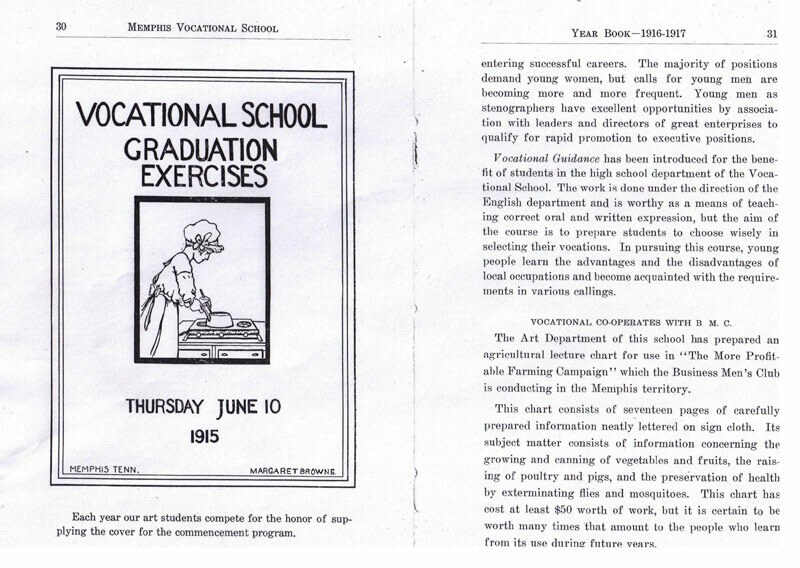 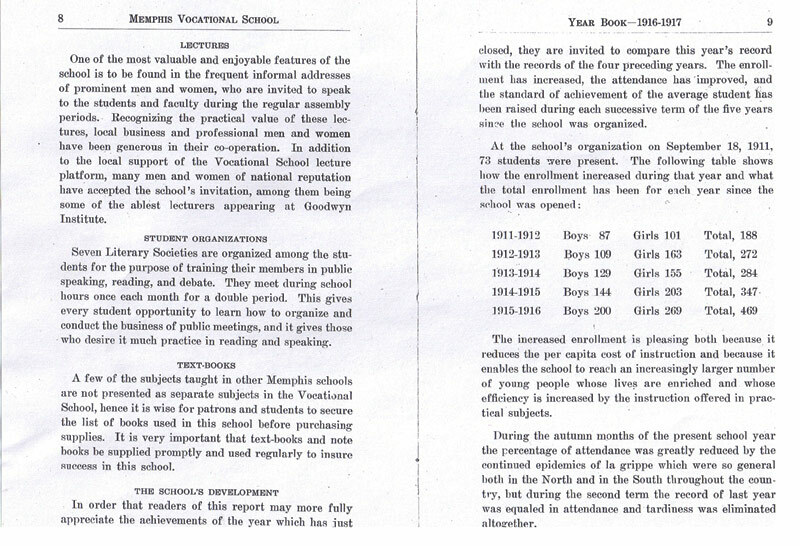 It's an interesting booklet which discusses why the school was organized in 1911, describes every program at the school, as well as the enrollment and number of graduates from 1911-1916. 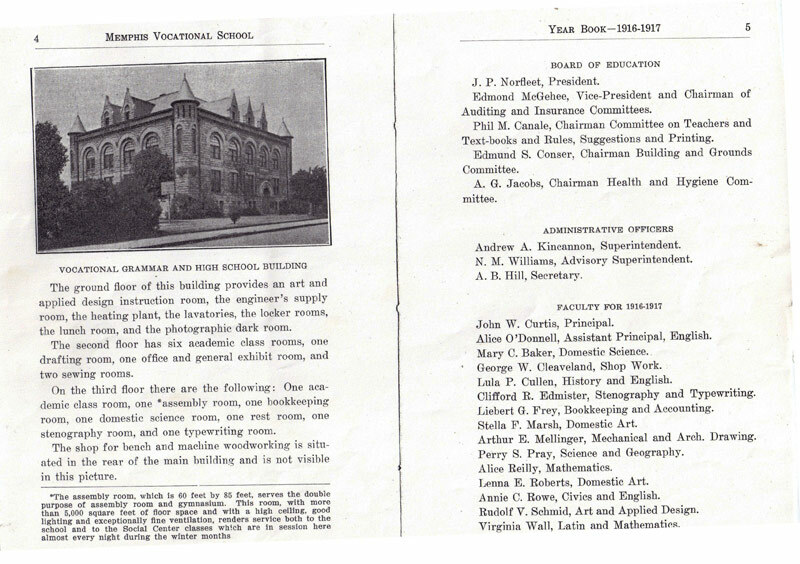 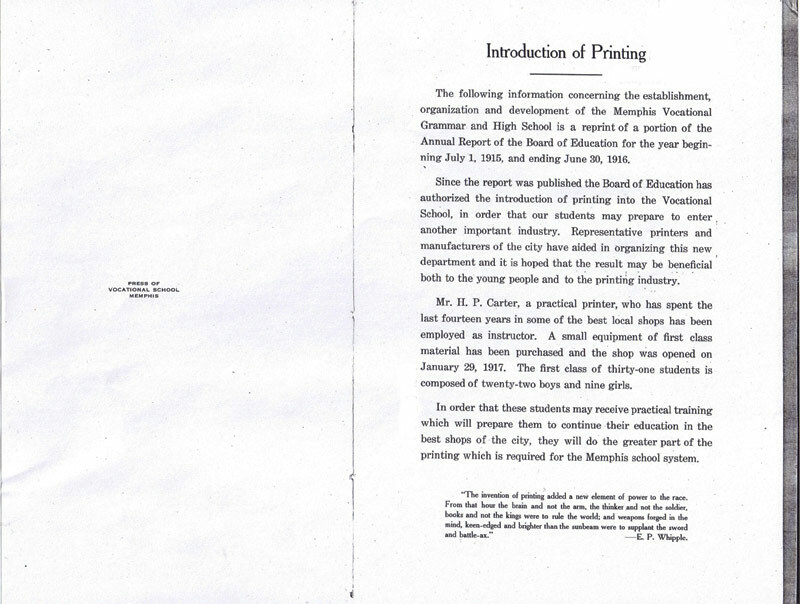 Note: While the Smith-Hughes government program didn't become associated with the school until 1918, the school already had a well-equipped print shop from its beginning in 1911. 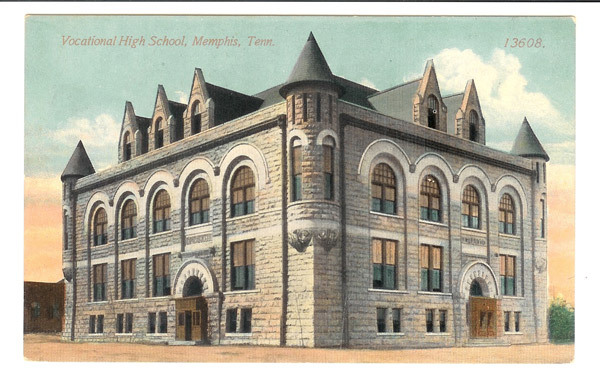 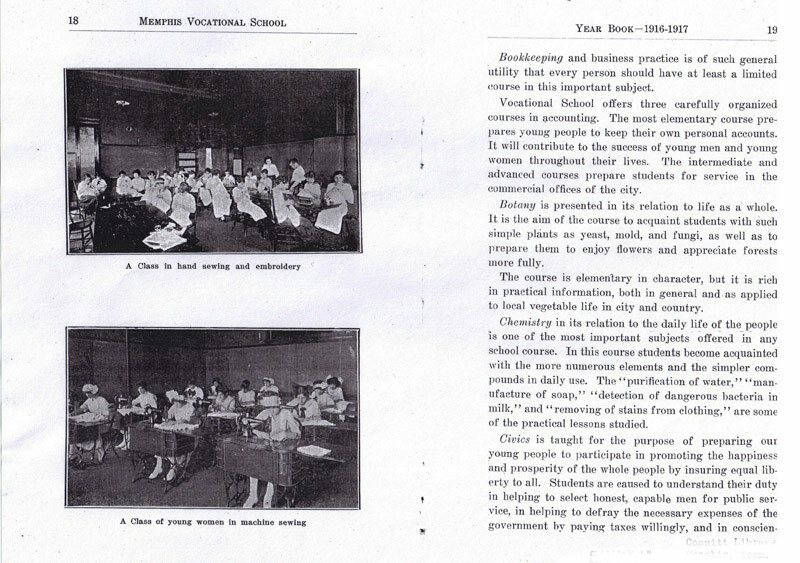 Vocational High School appears on "penny postcards" of the time. 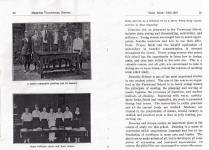 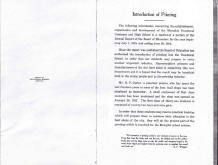 Please click on the small photos for an enlargement. 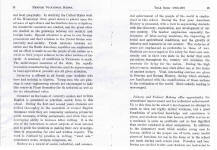 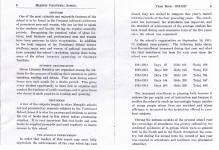 Click on the enlargement to return to this page. 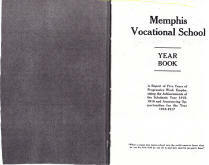 Boys: Pete Armour, John J. Brannon, Edgar Tully Quick, Joseph Cahoon Virgeson, Jr. 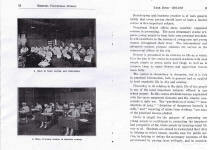 Girls: Lena Auferoth, Sarah Blanche Bellinger, Lois Agnes Carter, Sadie D. Colton, Clyde Curry, Velma Lola Dodson, Mauces Krakenbuhl, Emma Lucille Neel, Marie Matilda Resteck, Geraldine Scott. 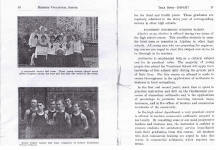 Below are interesting newspaper articles about 1916-17. 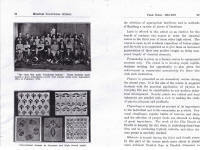 Click on the small fragments to see the full size. 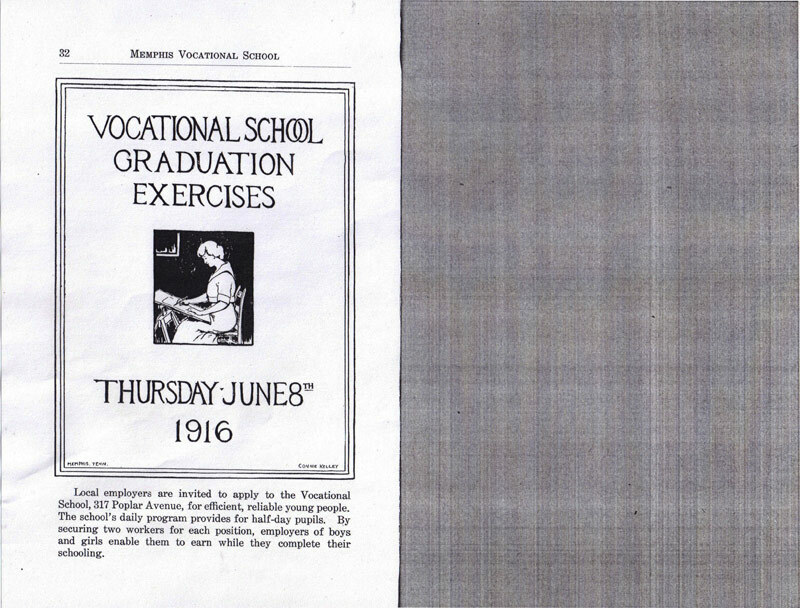 Below: This 1915 article describes the Winter graduation.